Technically, the Garden Route stretches 200 km, from Mossel Bay in the west to Storms River in the east. Being so close to Cape Town, most trips to the Garden Route will either start or end in this city. 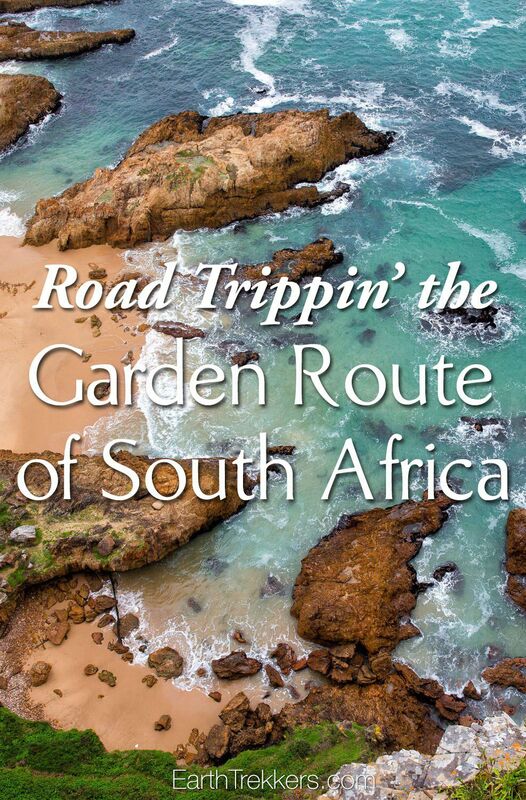 Our itinerary includes the entire route from Cape Town to Port Elizabeth, since there are several very worthwhile places to visit just outside of the Garden Route. Here is our 7 day itinerary along the southern coast of South Africa, one of our most thrilling, most enjoyable weeks during our trip around the world. How to Use This Map: Click the tab in the top left hand corner of the map to view the layers (points of interest, cities, and hotel recommendations). You can click the check marks to hide or show layers. If you click the icons on the map, you can get more information about each point of interest. Arrive in Port Elizabeth in the morning. Pick up your rental car and begin the journey toward the Garden Route. 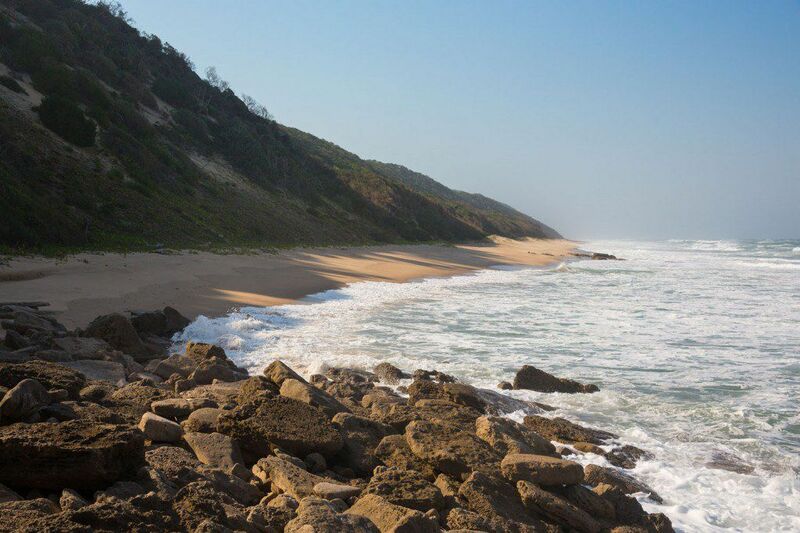 Until you reach Storms River (2 hours of driving, 180 km), you are in the Eastern Cape. 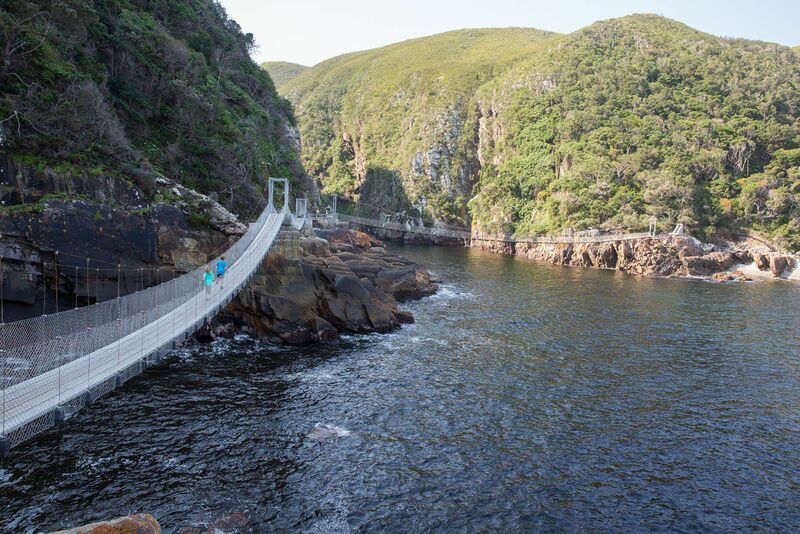 In Storms River, spend a little time exploring Tsitsikamma National Park, a maritime reserve with walking trails, suspension bridges, and a beautiful beach. If you are looking for some adventure, go ziplining (Tsitsikamma Canopy Tours) or kayaking in the gorges of the park (Untouched Adventures). If you are really feeling adventurous, drive a little farther west to Bloukrans Bridge, the site of the highest commercial bungy at 216 meters. This bridge also marks the border between the Eastern Cape and the Western Cape of South Africa. 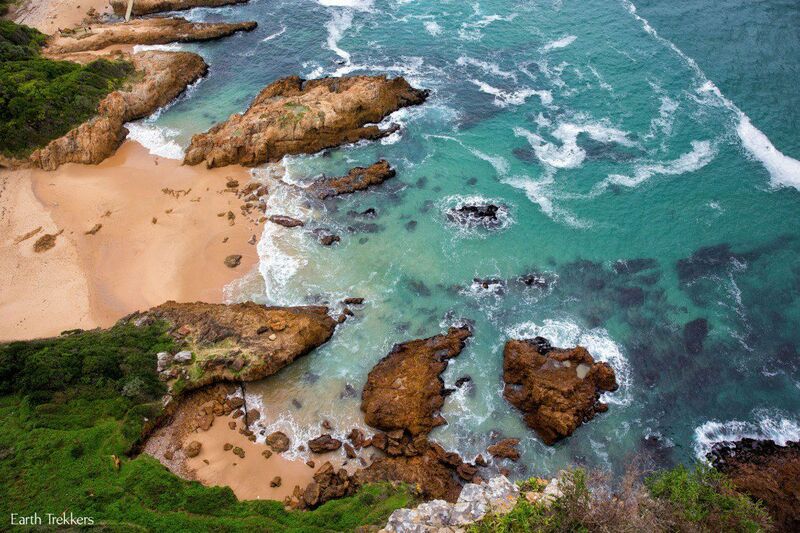 For the next three nights, you have a choice: stay in Knysna or stay in Plettenberg Bay. Both are great places to stay, with lots of accommodations and restaurants. They are just 30 minutes apart by car. Most of the activities we mention are located closer to Plettenberg Bay. We stayed at the Panorama Lodge in Knysna and loved it. From Bloukrans Bridge, it is just 30 minutes of driving (40 km) to Plettenberg Bay and one hour of driving (70 km) to Knysna. Get settled at your hotel or B&B and enjoy dinner in town. 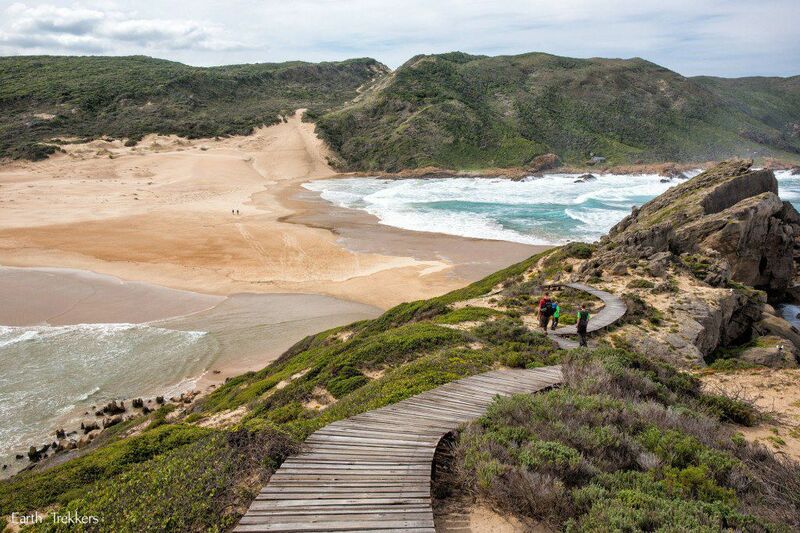 The hike around Robberg Peninsula is one of our favorite hikes of all time. Why? With views and terrain that are always changing, plus a chance to spot whales, dolphins, and seals, there is nothing boring about this hike. Throw in a wide, peninsula of sand and gorgeous coastal views and you have a hike that is perfect for almost all ages and ability levels. 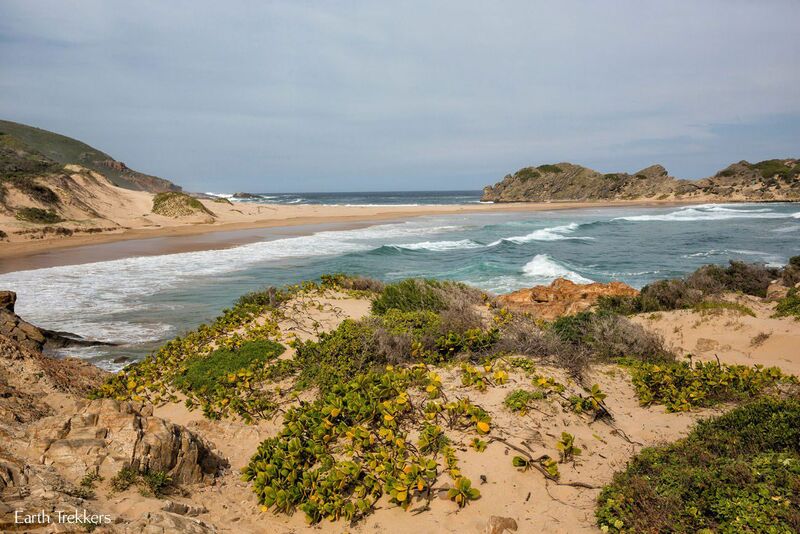 This hike is located next to Plettenberg Bay at the Robberg Nature Preserve. The hike takes between four to six hours, so plan for a picnic lunch right on the beach. Now is when the real fun begins!! It’s time for some uniquely African experiences. 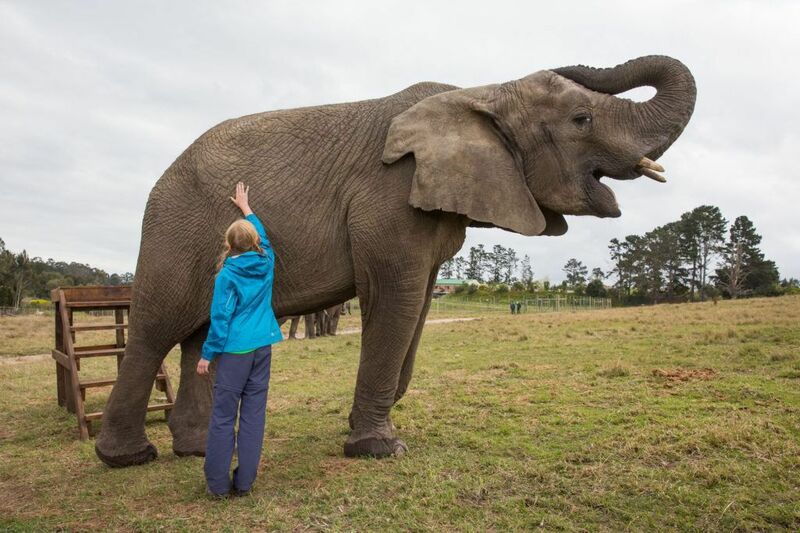 Located in and around Plettenberg Bay are numerous animal sanctuaries. For a fee, all of these places allow you to get up close with the animals. 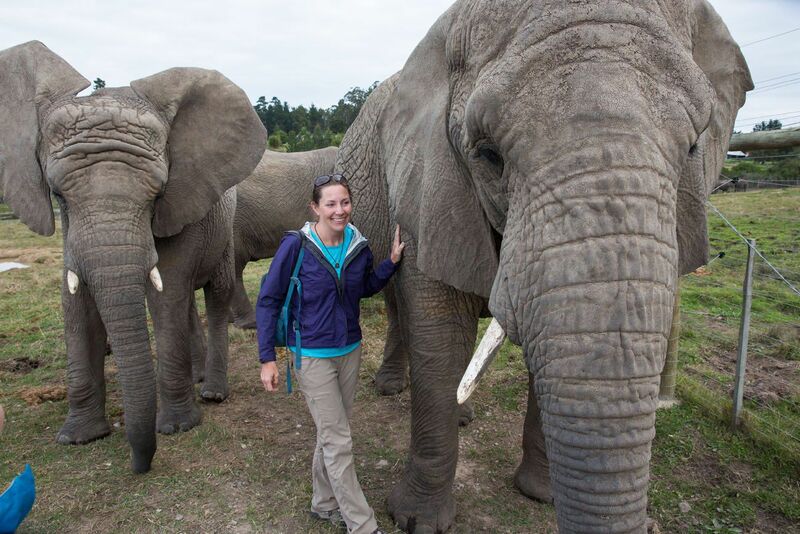 Our visit to the Knysna Elephant Park was hands down one of my favorite travel moments, ever. The Park offers various elephant interactions. We opted to just feed the elephants. For ten minutes, we fed assorted fruits and veggies to these giant animals. To be able to get so close them, touch them even, fulfilled a lifetime dream for me. It was tons of fun and pure enjoyment for our entire family. I highly recommend this experience! 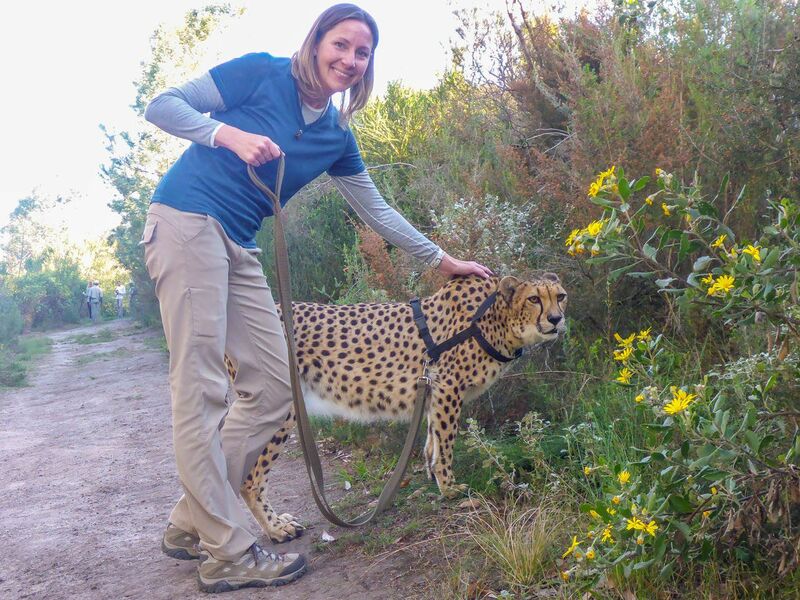 I also had the chance to walk a cheetah at Tenikwa Animal Sanctuary. In order to do this you must be over the age of 16. Cheetahs must see smaller people as dinner, so Tyler and Kara weren’t able to join me on this one. How often do you get a chance to walk a cheetah?! This is another amazing experience. The list goes on. 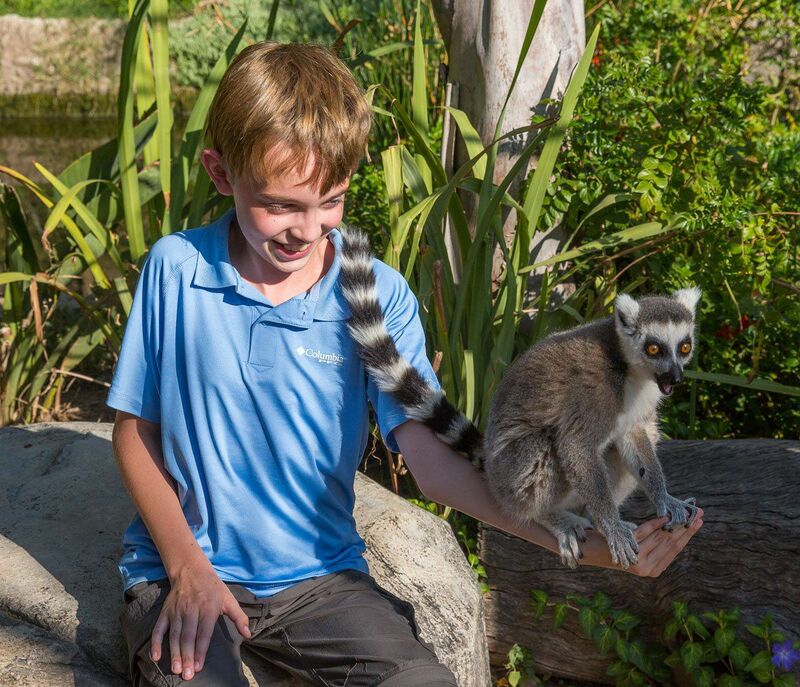 Get up close with monkeys at the Monkeyland Sanctuary, snakes at the Lawnwood Snake Sanctuary, or birds at the Birds of Eden. 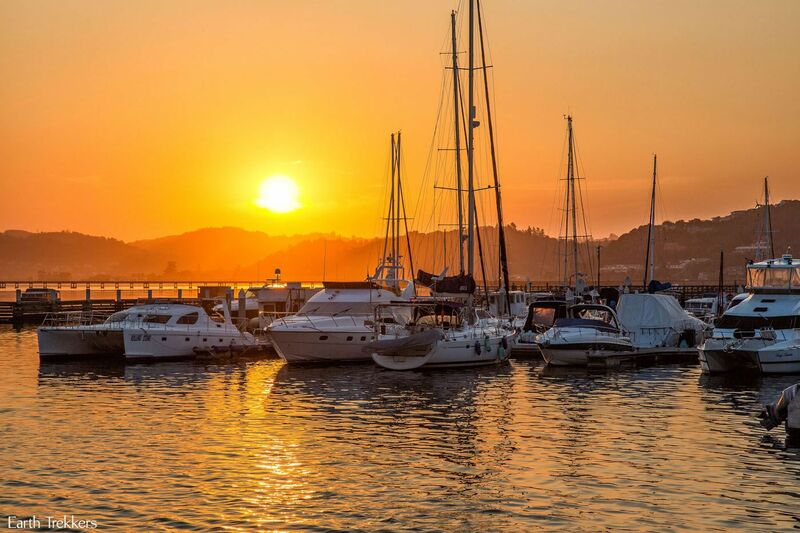 Spend the afternoon and evening in Knysna. A must-do in Knysna is to take the view of the lagoon from the viewpoint at the East Knysna head. Have dinner in town. Some of our favorite restaurants in Knysna are Café Mario, 34 South, and East Head Café. This will be the most hysterical, most outrageous day on the Garden Route. It’s time to get up close with ostriches (and more!). To get to Oudtshoorn, its 1.5 hours (120 km) from Knysna and just over two hours (150 km) from Plettenberg Bay. The whole reason for visiting Oudtshoorn is to meet the quirky, crazy ostriches. There are several ostrich farms in town. 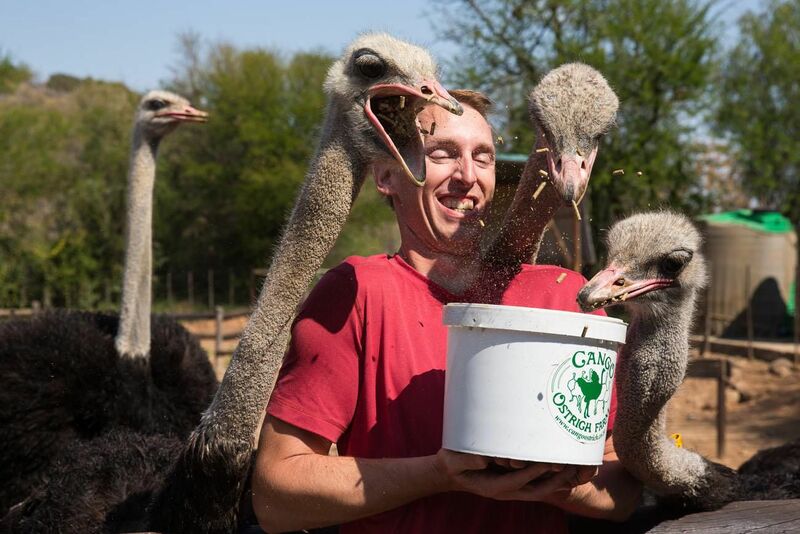 We visited Cango Show Ostrich Farm and had a perfect experience. 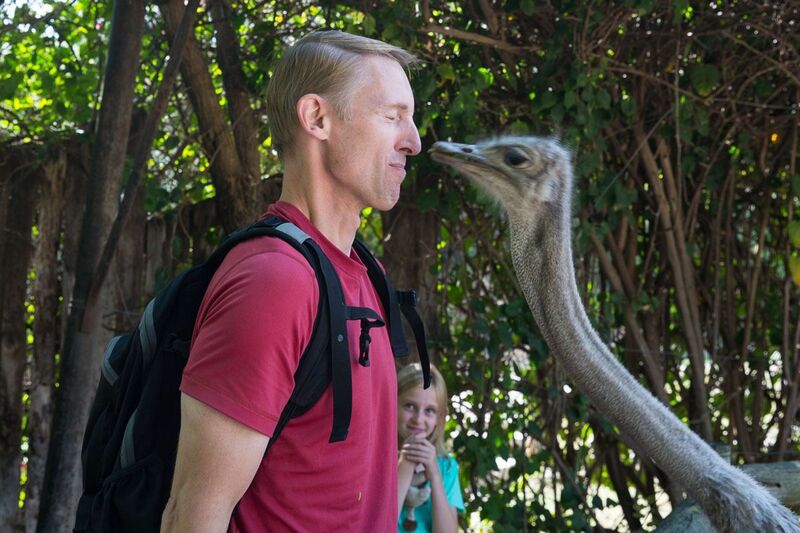 On our one hour tour, we learned about ostriches in detail, stood on ostrich eggs, fed them, and Tim received a big, fat kiss smack on the lips from a female ostrich. After meeting the ostriches, it’s time for lunch. Those ostrich farms are not just there so people can ride ostriches although I am sure that is big money maker. What about an ostrich burger for lunch? Spend the afternoon at Cango Wildlife Ranch. This is a great place to get up close with more cheetahs, lemurs, and even crocodiles. Plus, they have lions, tigers, and more, and this makes for an interesting, even comical afternoon (but it sure is hard to beat those ostriches!). In Oudtshoorn, we spent one night at the wonderful Earthbound B&B. The rooms are nicely decorated and the place feels nicer than a 3-star accommodation. Today you will drive to Hermanus. 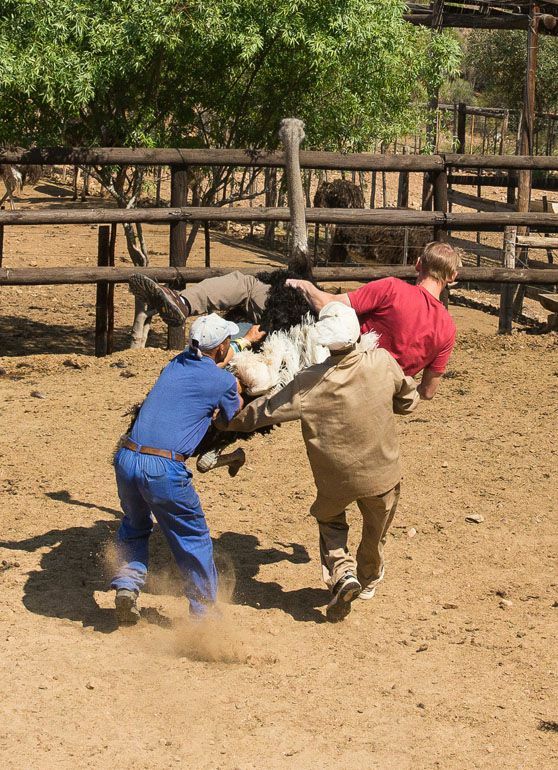 However, before starting the journey, there are two activities in Oudtshoorn that you should consider. If you like scenic drives and mountain passes, one hour north of Oudtshoorn is the Swartberg Pass. This high mountain pass gets rave reviews for its scenery. It is a winding road and a bit of a white-knuckle journey. We did not do this but I wanted to include it in this post because it is one of the highest rated experiences in the area. Instead of the Swartberg Pass we chose Meerkat Adventures. 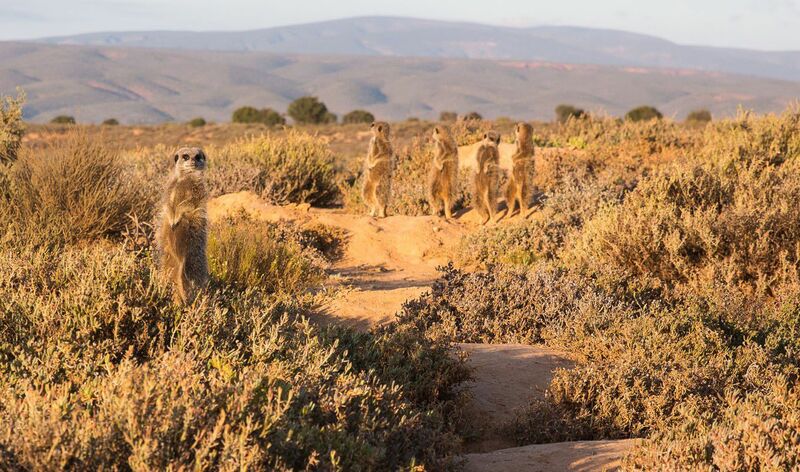 This is an early morning activity where you are taken out into the fields that surround Oudtshoorn to watch as meerkats emerge from their dens. I have always been fascinated by these animals so this was a must-do activity for me. However, it was a bit of a letdown. This is an expensive activity and after the excitement of cheetahs, ostriches, and elephants, this experience seems rather dull. Unless you really have a fascination with meerkats, this experience may not be worth it. From Oudtshoorn, it is a four hour drive to Hermanus. You have the option to stop in Mossel Bay along the way. Also along the way is Cape Agulhas, the southernmost point in South Africa. Once in Hermanus, get settled into your hotel and check in with your tour company for tomorrow’s shark cage diving excursion. In Hermanus, we stayed at Hermanus Backpackers, a hostel with a wide variety of rooms. We had a 4 person room with a private bathroom. Between the months of June and December, the southern right whale can be seen from Hermanus right from the coastline. We were here in early September and saw them from the roadside. However, if you want to see more than whales, then consider shark cage diving. 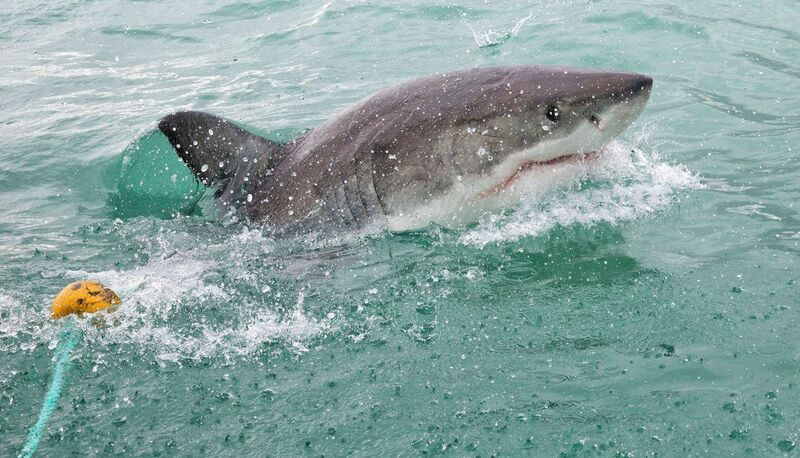 Gansbaai, just a short drive from Hermanus, is the white shark cage diving capital of the world. Most shark cage diving excursions last three to four hours. They typically leave right from Gansbaai. This is an unforgettable experience. We had unusually chilly, unsettled weather on the day that we did this, which made for a wild ride. But seeing those great white sharks up close was an awesome experience! We used White Shark Ecoventures, visit their website here. From Hermanus, it’s time to drive to your final destination, Cape Town, just an hour and a half away. In Cape Town we stayed at the Glenlin Apartment. This two bedroom 2 bathroom apartment also has a full kitchen and washing machine. From the large balcony you can look out over False Bay. It’s a great place to stay if you are on a budget, but it is located 45 minutes south of Cape Town in Fish Hoek. Spend the day touring Cape Town. Things to do include Robben Island, a ride on the Table Mountain Aerial Cableway, the Victoria and Alfred Waterfront, and the Cape of Good Hope. 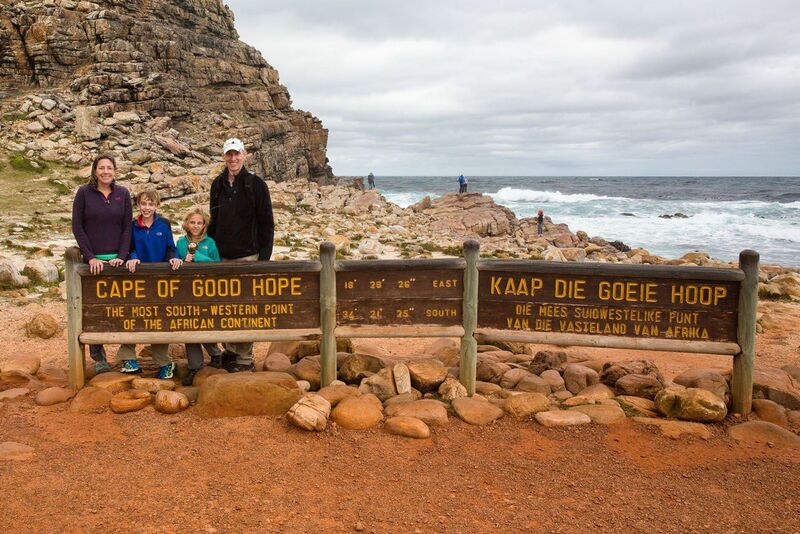 For more ideas of things to do, read: 5 Days in Cape Town and How to Visit the Cape of Good Hope. Add more time to Cape Town. At a minimum, you should spend three days in Cape Town to visit the main highlights. Five to seven days is perfect. Go on a safari. If you are unable to make it to Kruger on this trip and want an African safari experience, you have a few options. 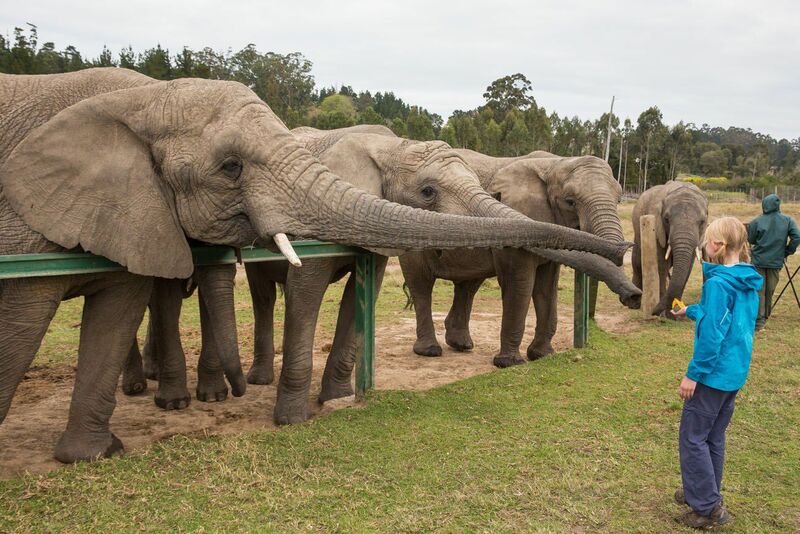 Addo Elephant Park, located near Port Elizabeth, is a good option. 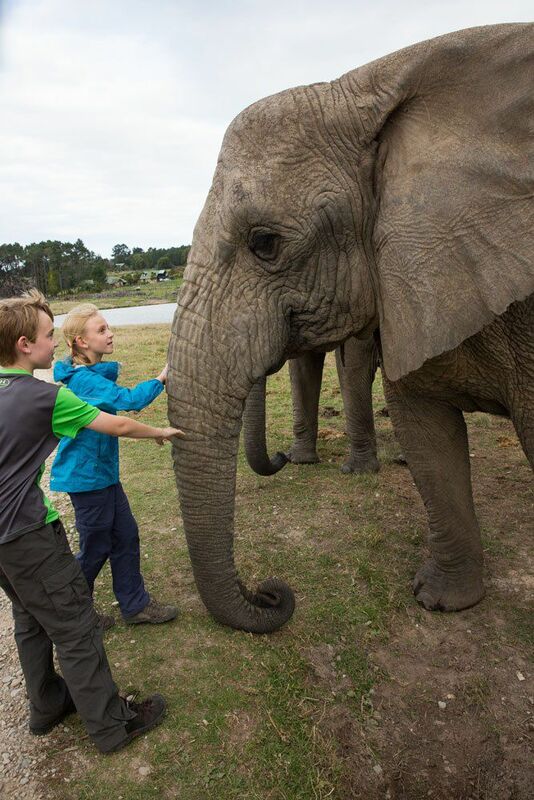 Addo is famous for its high concentration of elephants. You can also see zebras, lions, impala, and so much more. Addo is good, but it’s not great. If you have been on safari before, Addo can be a bit of a letdown. For us, it was a bit of a letdown, but we had just been to Kruger and to Chobe National Park in Botswana. But for those who have never been on safari before, this is a good option. Many people also rave about Shamwari. This is a luxury safari option located just east of Addo Elephant Park. There are airports in George, Plettenberg Bay, and Port Elizabeth. You can fly in and out of these airports, eliminating two days of this itinerary: the drive from Oudtshoorn to Hermanus and shark cage diving. Or you could eliminate day 3 of this itinerary by doing the Robberg Hike in the morning followed by Knysna Elephant Park in the afternoon. 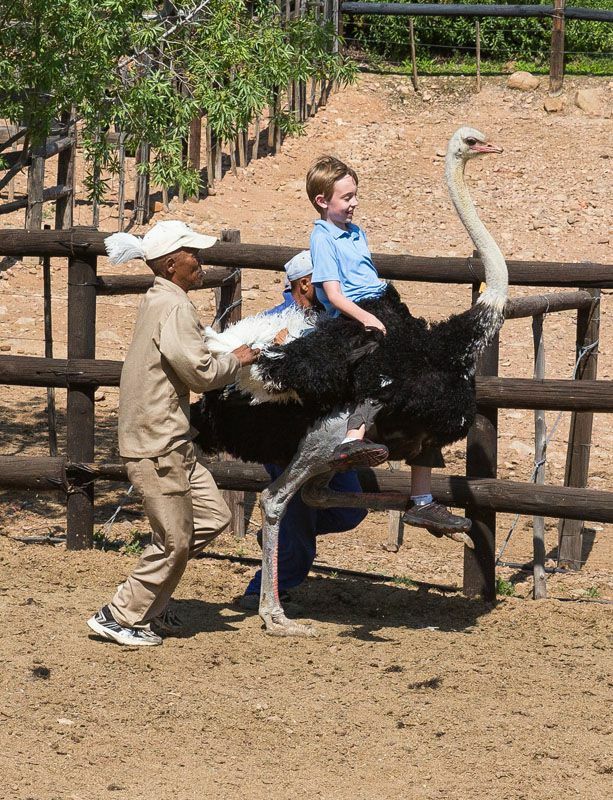 Just don’t eliminate the ostriches in Oudtshoorn. That is a blast!! The Garden Route is great to visit all year long. During the summer months, November to April, temperatures are at their highest and rainfall is low. The Garden Route gets very crowded during Christmas and Easter. Winters are mild although there is a higher chance of rain. This is also the best time for whale watching. We were here during the winter, in early September. Daytime temps were mild and we did have a little bit of rain but it did not affect our plans. From our experience, this is a great time to visit the Garden Route. If you have any questions about this itinerary, or want to share your experience, comment below! I love your site and I am planning a RT W adventure with my family in 2021-2022. It will be here soon! A quick question about car rentals. Did you rent a car in Johannesburg and keep that same car until Cape Town six weeks later? We have about 5 weeks in Africa before traveling to Madagascar. Thanks ! Thanks for such great blog, I really like the way you organise your blog as if its film or story not just blog , You make us inside the trip not just reader, All details you mentioned draw in our mind full picture about South Africa really a trip is the place you visit by your mind not by your body. The best thing about your blog that it works as small travel guide for all who intending visiting South Africa in future as you suggest lots of things to do and places to be visited there in addition its Africa travel story for all who are mad about reading travel adventure. Thanks for the great info and ideas on what to do in South Africa. The only thing that stops me from going there is a thought of driving on the left side of the road. Was it challenging for you or you quickly got used to it? Hello! I have LOVED reading your travel reports. We have used many of them in our travels around the world!! We are taking a trip to South Africa for about a week around the same time of year you took your trip. We will be there at the end of September. We will focus on the Garden Route. Our plan is to fly into Port Elizabeth and then drive to Cape Town making a few stops along the way. I wanted to know if you feel that is enough time to see a few of the sights along the way and see Cape Town. Any tips and thoughts would be appreciated. 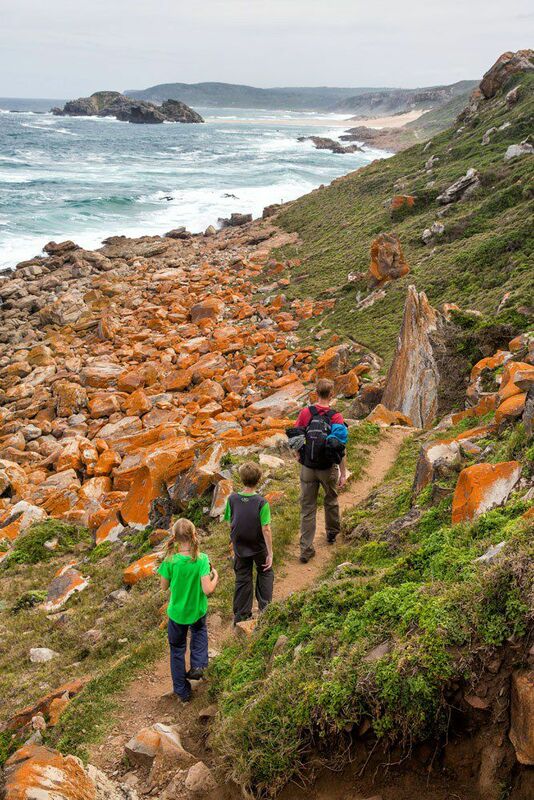 We would like to hike Robberg Peninsula. We live close to Kruger National Park so seeing many animals during this trip isn’t our highest priority (except for the shark cage trip, and maybe Knysna Elephant Park). Also- was there a car rental company you would recommend? Thanks again for all of your beautiful pictures and reports!! What a lovely description of everything. I’d just like to know how much did this trip cost you? 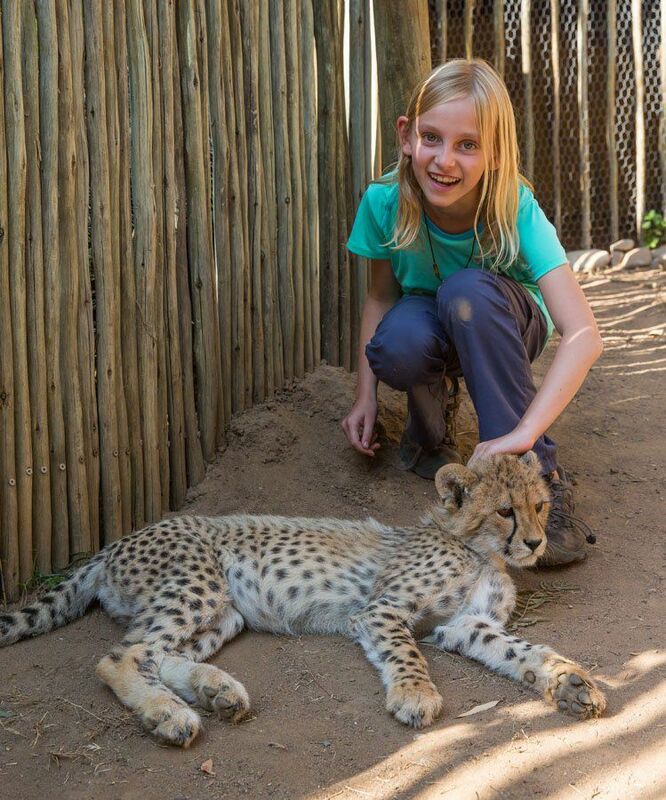 Aside from flights into and out of South Africa, we averaged about $250 per day for our family of four. This includes accommodations, food, rental car, and activities.